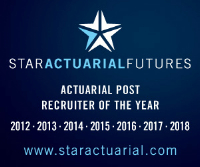 Major insurance group has an exciting opportunity for a part-qualified non-life actuary to update and develop all UK Motor Risk Premium Models to enable the business to both price effectively and to manage risk through model outputs. In this key role, you will deliver other EMBlem-based analysis that includes rated area reviews, occupation reviews and vehicle classifications whilst using your natural ability to innovate in order to develop these processes. Contact us now for more information on this excellent career development opportunity.